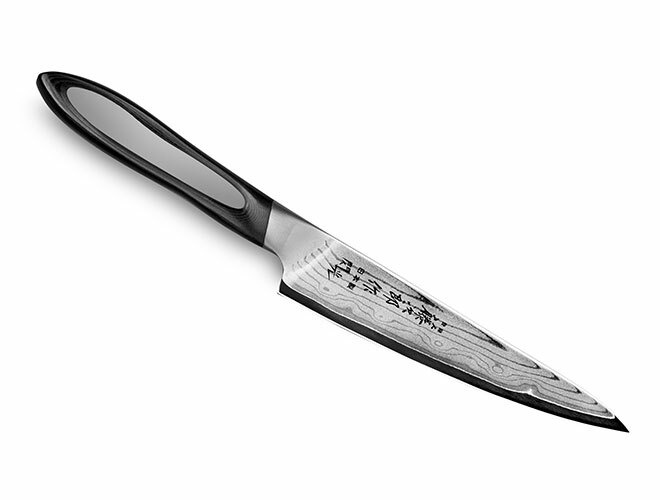 The elegant Tojiro Flash Series of Japanese cutlery features a blade that has a folded and forged construction of 63 layers of Damascus steel (37-layers for smaller knives in the line). This process allows the thin center layer of VG-10 steel to be extremely hard & sharp but the blade retains flexibility & strength. The unique design of the graduated bolster allows for easy re-sharpening all the way up to the heel of the blade along with a totally smooth, comfortable, perfectly balanced feel. 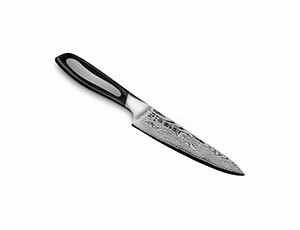 With a Rockwell rating of 61, these true damascus blades provide a superbly sharp edge that you would expect from a top quality Japanese knife. 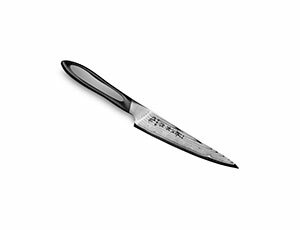 The Micarta handle is inlayed with stainless steel for a stunning appearance. Micarta is a revolutionary new handle material that is made from linen and synthetic resin compounded by extreme amounts of pressure and heat creating a wood-like grain and feel with the absolute ultimate in durability. 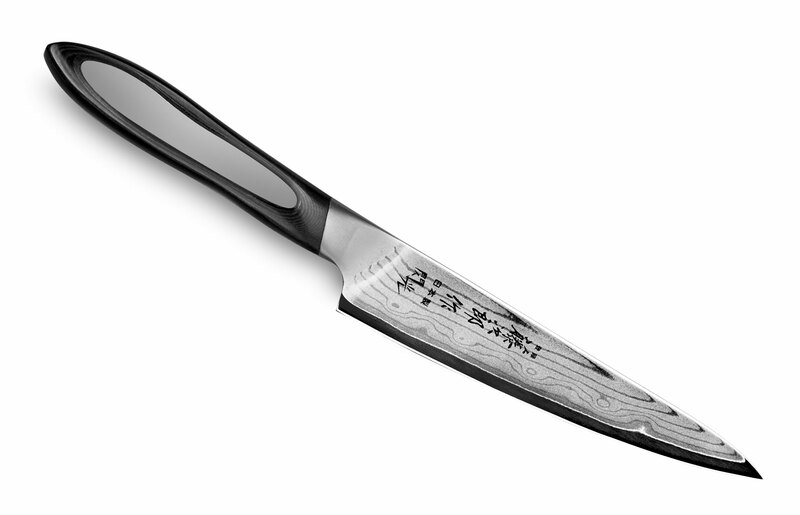 Combining the ancient tradition of Japanese Samurai sword making with new technology while maintaining their strict level of the ultimate in quality and performance, Tojiro has outdone themselves in creating this exquisite line of professional kitchen cutlery. Made in Japan; Lifetime warranty.